Being a part of the cleaning industry can be disheartening sometimes. Considering when money gets tight we are the first ones to get budget cuts. 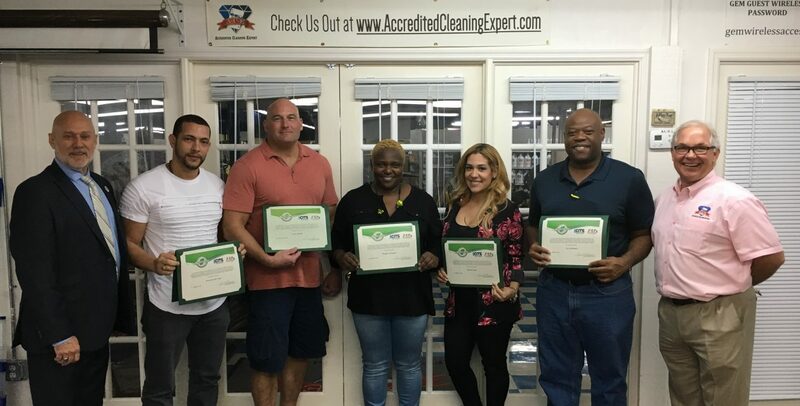 More and more companies want us to do more for less, which isn’t always the easiest thing especially when labor is the highest cost of the cleaning industry. Luckily over the years our industries technologies have been increasing exponentially, through products such as Intellibot’s automated floor cleaning machines and on a smaller scale Kaivac’s AutoVac! These innovations have allowed for the “do more for less” ideals to flourish within companies, but these products don’t come without a price. The same can be said about training. If your employees don’t know how to use the equipment properly they will be less efficient at their job and have a higher risk of breaking the equipment resulting in hefty repair fees for your company. This is why we agree that you can “do more for less”, but you first need to get your employees the tools and skills that they need to reach their full potential in the work environment. How To Prevent Norovirus In Our Schools? This is a serious illness in our school systems, especially in the younger grades, because children at that age do not have the best hygiene or immune systems. In fact, last year in Central Florida we had schools with a 40% infection rate. This is a problem that can’t be addressed by normal disinfectants and cleaners! Luckily, there is a solution and we have it for this enveloped virus and its Perisept! This Sporicidal Disinfectant Cleaner is one of the few ways to help prevent this virus from spreading through our school systems this year. So lets keep our children safe and maintain a healthy environment for our teachers this winter.